Should I take probiotics? It’s a question a lot of fitness buffs are asking and the answer is yes, you should as it’s good for your health. What is a probiotic you ask? Well, it’s the term used for the live bacteria in your gut. These are good bacteria as they improve digestion, bowel movement and eliminate toxins in your body. For health reasons alone it’s something that you should consider adding to your diet. But in addition to general wellness, these good bacteria are also good for muscle building. Probiotics are, strictly speaking, not muscle building supplements, but they benefit many aspects of your health that in turn helps build muscle and strength. Why Should You Use Probiotics for Strength and Muscle Building? There is a growing body of evidence to indicate that good bacteria in the gut plays a role in muscle building and strength enhancement. 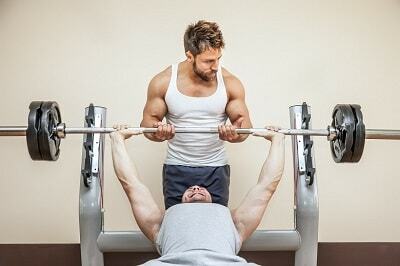 It is good not only for bodybuilders but also athletes and fitness buffs. One of the health benefits of good bacteria like lactobacillus is it flushes out toxins in your body. This process also increases the amount of antioxidants present which your body needs for wellness and general well being. As your antioxidant level goes up, the more your body is able to reduce oxidative stress. Oxidative stress is very common after an intense workout and slows down your recovery period. By increasing the number of good bacteria in your gut your improves your immune system. One of the signs probiotics are working is faster muscle recovery. After workouts, your muscles tire. 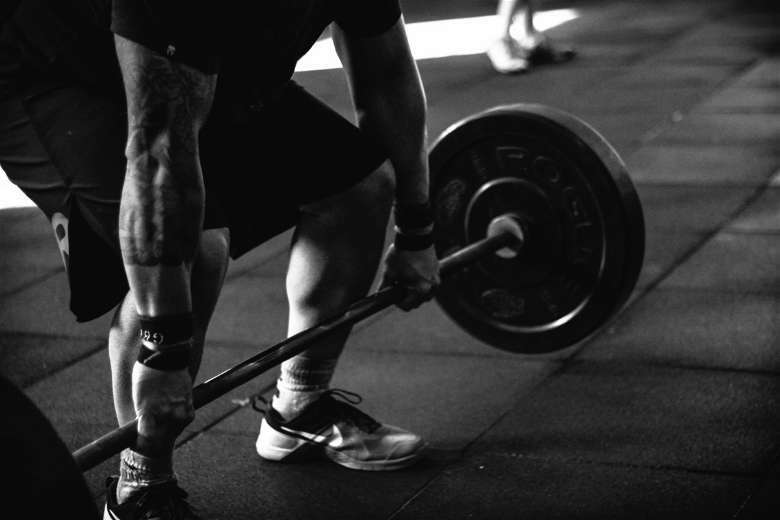 All the lifting and exertion puts pressure and leads to fatigue and muscle tissue breakdown. Your body uses the rest period to rebuild those muscles to better adapt to the amount you lift. All that takes time and that is where the good bacteria in your gut comes to play. Researchers have determined that these bacteria build up endurance and reduce the number of chemicals the body produces that make us feel tired. This is important for the bodybuilder as it speeds up muscle recovery. Good bacteria reduces the amount of strain your body has to put up with, and that makes a huge difference in terms of how quickly you recuperate after a workout. The greater your endurance level the more workouts you’ll be able to do. Gut bacteria can improve body composition when combined with exercise. When you do resistance training the presence of these bacteria improves strength and muscle building. The bacteria also improves nutrient absorption and affects your body’s ability to absorb fat. In short, it helps curb your appetite. Gut bacteria also improves your body’s immune system so you’re less vulnerable to disease and injury. They improve your body’s immunity balance which helps you deal with pathogens. The bacteria in your intestinal tract also makes you less vulnerable to inflammation. These anti-inflammatory properties are essential for bodybuilders and athletes because it builds up insulin resistance and improves metabolic health. The less prone you are to diseases the more workouts you’ll be able to do with less downtime. A team of Swiss researchers discovered that good bacteria strains make you less susceptible to the common cold. The study also shows that these bacteria also reduce the duration of the cold if you do catch it. One study shows that certain types of probiotic strains boost body immunity by up to 50%. The same studies also indicate that taking probiotics for at last thirty days leads to higher T-cell production, making you more resistance to the flu and other respiratory ailments. This benefits everyone, but it is most apparent in athletes and fitness buffs. Some studies have been done which indicate that certain types of bacteria strain minimize the effect of respiratory symptoms. Over a four-month period, athletes preparing for winter training became less vulnerable to cold when their diet was supplemented by food or supplements with healthy bacteria. Those who include good gut bacteria in their diet develop bigger, harder muscles and burn fats quicker too. How is this possible when these are not really muscle supplements? The secret is the way bacteria improves your body’s ability to absorb nutrients. Finnish and French scientists have discovered that obese and lean people have different gut bacteria. The bacteria in overweight people absorb more calories which lead to excess weight gain. With lean, physically fit people, the bacteria are better at absorbing nutrients and also reduces the calories your body absorbs. The same study conducted by the Finnish researchers also showed that women who took probiotics while pregnant, gained less weight following birth. What all this means is that good bacteria you consume less fat and more nutrients. This allows your body to burn more calories and build muscles faster. This makes it ideal for both muscle gain and weight loss. All the benefits of probiotics will only be realized if you’ve got the right kinds of bacteria in your gut. If the bacteria combination is wrong then you’ll be more vulnerable to disease like type 2 diabetes and other injuries. That is the reason you need to take the right types of probiotics to get the desired benefits. 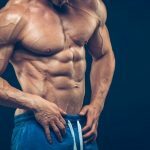 We will take a look at the best sources a bit later on, but first, let’s examine the science and see what researchers have to say about gut bacteria and muscle building. 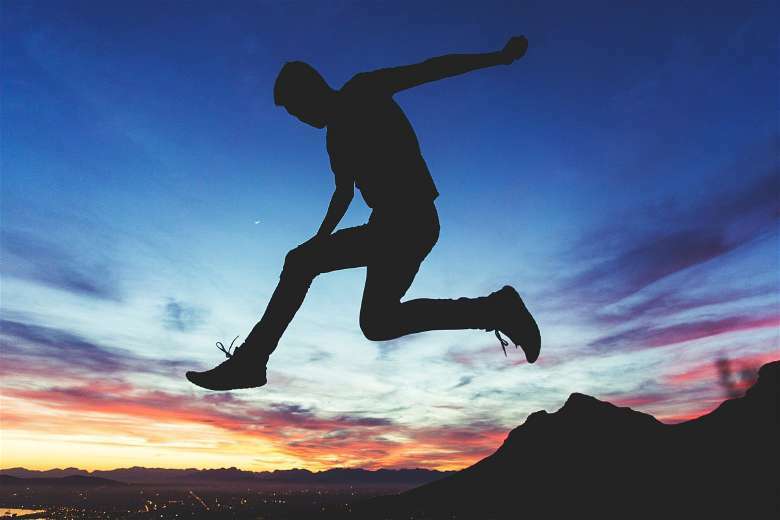 A study conducted at the National Taiwan Sports University showed that Lactobacillus Plantarum TWK10 may enhance physical strength, fight off fatigue, increase energy and lead to greater muscle mass. The Taiwanese scientists conducted the research for six weeks on lab mice. After adding probiotics for digestive health to the mice diet for six weeks, they reported significant gains in muscle and equally significant loss in body weight. Studies published elsewhere support these findings. Researchers have noted that animals given lactobacillus saw an increase in fitness endurance and stronger grip. one without any probiotics, one with 205 million doses and the third with 1 billion units per kilogram. These were administered daily. After the six week assessment period, it was determined the control groups supplied with Lactobacillus had 1.3 to 1.4 times the grip power of those that didn’t take these healthy microorganisms. The results were even more pronounced in the endurance test. When all three groups went for a swim, those that took a dose of good bacteria had an increase of 1.8 to 4.8 before exhaustion kicked in. Another result from the test showed that healthy bacteria helps reduce stress and fatigue. Substances usually released such as creatine kinase, ammonia, and serum lactate were reduced significantly. The same study showed that mice which took probiotics had lower mass and body fat. The reduction in body fat was up to 50% in some cases. At the same time, it also led to an increase in muscle mass. In a study conducted at the Department of Medicine, School of Medicine at the University of California, researchers determined that lactobacillus and other good bacteria may prevent the growth of bad bacteria. The same studies show that lactobacillus and similar microorganisms stimulate the production of antibodies that fortify your immune system. The stronger your immune system is, the more workouts you’ll be able to do and the bigger your muscles can get. So to answer the question should I take probiotics, well it should be yes since the health benefits are also good for your muscles and physical strength. So now that you know what probiotics do, you’re probably wondering where you can get them. You can get good bacteria from a lot of sources, but the following are the best. Yogurt – Handmade, live cultured yogurt is the best, especially those made from goat’s milk. Goat milk yogurt is also rich in acidophilus and lactobacillus. Kefir – This is comprised of fermented kefir grains and goat’s milk. Kefir is rich in Bifidus and lactobacilli bacteria, plus it is rich in antioxidants. Sauerkraut – Sauerkraut is made from various vegetables and is filled with live cultures. They are also good for eliminating allergies. Microalgae – This is a general term used for blue-green algae, chlorella, spirulina and other plants which are ocean-based. These are prebiotic, but they provide nourishment for the probiotics in your body. 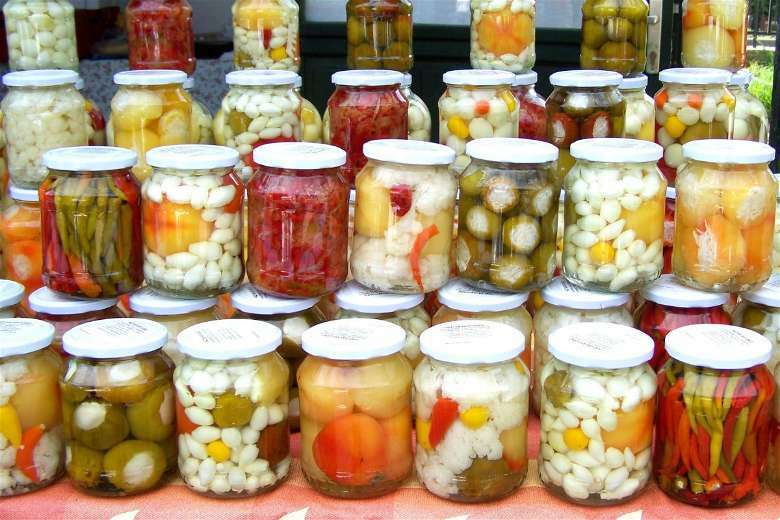 Pickles – Pickles are packed with probiotics. Most people think of cucumbers as the only pickles, but other types of vegetables can be pickled too. So to answer the should I take probiotics yes, you should. However, the fact is we don’t get enough of it in our diet to make an impact on health, let alone bodybuilding. If you want optimum benefits and the maximum healthy amount possible, I would recommend Performance Probiotic, as it has been prepared specifically for bodybuilders, athletes and fitness buffs. I’m surprised at the number of benefits of probiotics. However, I seem confused a bit. 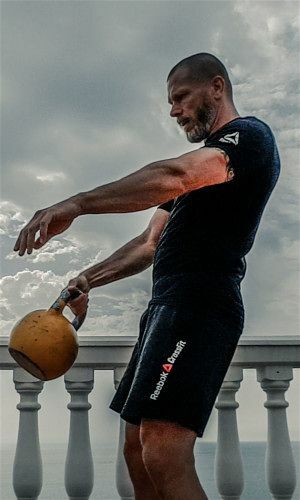 While I understand improved gut bacteria causes improved fat absorption, how does resistance training improve gut bacteria? Hi Helen. I think you misunderstood the part about gut bacteria and resistance training. In the article is said the presence of the gut bacteria can improve strength and muscle building while you do resistance training.